Make a normal walk script that goes from the town spawn to the cave quest NPC. Add all of the quests for that NPC to your walk script. Continue to your training area. Save the script like you normally would. Create another script that goes from your training area back to the quest NPC. Add the same quests again to this script. Save it and do not walk back to your training area! The bot will execute the script in reverse after the script finishes. Go to the quest tab in the bot and enable those quests and set the script. maybe you are not available to get mor qwest ? 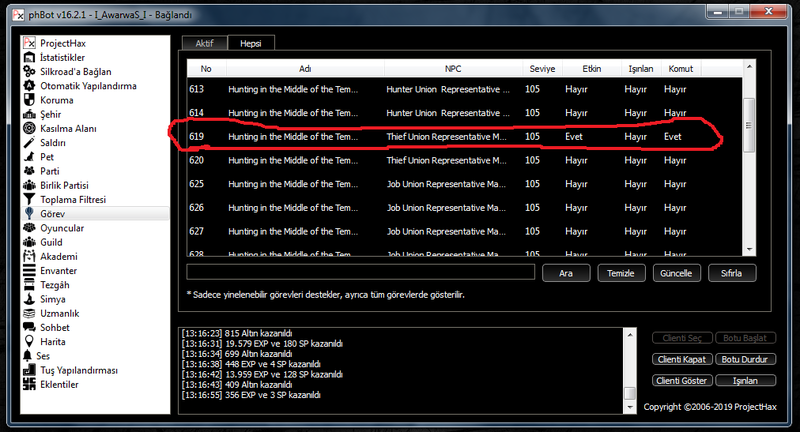 Testing release supports turning in job cave quests without you setting a script. Did i do anything wrong there @Ryan can you send me the scripts or can you explain me how i set the settings for job cave quests? You enabled the quest and also set the specific walk script? If you did those things it should work. 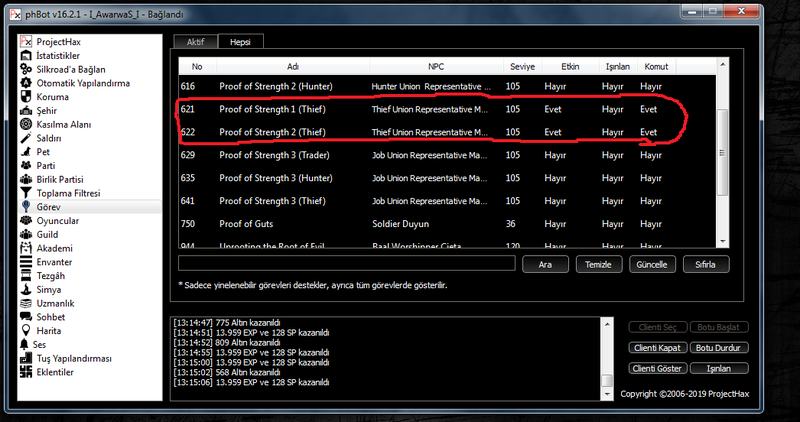 i have 3 quests from npc should i set 3 different spesific walk scripts for all? You can use the same script for all. If it never executes the script it’s possible something broke when I added path finding cave support / fixed quest parsing. If someone else has the same problem I can look into it more. I’d recommend trying testing instead since it has a lot of quest improvements. 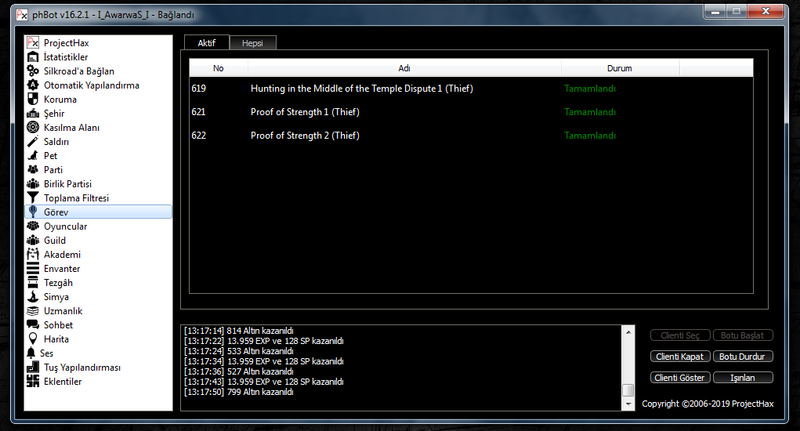 You can set your training area and enable the quests without needing to specify a script for either. so should i use the ph bot testing not stable? Thanks for fast and effective answers.! I using without walk script for Job Cave Quest. My bot is walking back after quest finished and bot isnt getting the quest again after then going back to the spot.